The corridor was once a thriving thoroughfare, connecting Richmond to Petersburg before Interstate 95 was constructed in the 1950s. Diverting traffic to 95 meant the beginnings of Jeff Davis decay – travelers bypassed the hotels, crime and poverty rose, and empty storefronts became the norm. Renewal and revival have been slow to come. But even if challenges lay ahead in the future, opportunities are emerging today. We owe a special thanks to Altria, which in July 2014 awarded $370,000 in grant funding to VCC to support small businesses wishing to relocate or expand along the corridor. 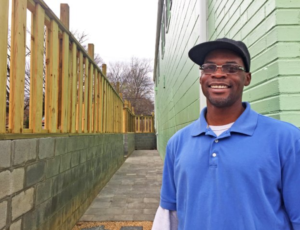 In a little over three years, and in partnership with the city of Richmond, VCC deployed nearly $2 million in loans to Jeff Davis corridor businesses in need of both financial support and technical assistance. In 2016, VCC financed YME Landscaping, a full-service landscaper serving clients from local city and state governments to private businesses and residential customers. Founded in 2007, YME is a veteran-owned and certified Small, Women, and Minority (SWaM) business with three full-time employees and four part-timers. Owner Earl Gary spent his career as an engineer and worked on energy efficiency projects around the region. Recalling his enjoyment as a youth working for his grandfather’s landscaping business, Gary decided to pick up the tools again and go out on his own doing the same. YME provides a range of traditional landscaping and maintenance services, exterior home improvements, hardscaping (retaining walls, walkways), planting of trees and shrubs, small equipment repairs, snow removal, furniture and debris removal, and even moving services. 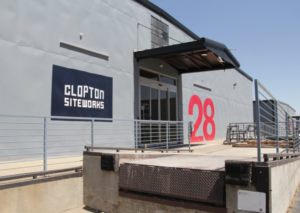 VCC has supported projects such as Clopton SiteWorks, a development transforming a grid of 26 tobacco warehouses in south Richmond into flexible, modern office and warehouse spaces for a new generation of emerging companies. The project’s ultimate goal is to bring 500 jobs to Jeff Davis. LaTilda Owens is VCC’s community impact advisor and led the Jeff Davis program on our behalf. She wrote an op-ed for the Richmond Times-Dispatch in October 2017. Read it here. RVA Magazine recently profiled the rich history of the Jeff Davis corridor and the opportunities and challenges for its future. Read the piece by reporter Wyatt Gordon here. Get involved in the Jefferson Davis Highway Association, founded in 1992 to address the revitalization challenges facing the historic Route 1 corridor. The Association also offers a rich historical overview of Route 1 and the JDH.